* If you prefer, you can see a .pdf version here (2.03 Mb). 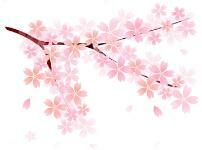 Every April, the cherry blossoms signal the coming of Spring. This is undoubtedly the nicest season of the year, those few precious months between the bitter cold of winter and the unbearable humidity of summer. We hope that this new season finds you well. In our 18 years of ministry in Japan, we have learned that Japanese Christians enjoy being taught. On more than one occasion Michael has heard that his 45 minutes messages were too short...the people actually wanted longer sermons! While this might seem like a good thing, the downside is that many Japanese Christian become dependant upon pastors and teachers for their spiritual food. Obviously, God has given teachers to the Church for the purpose of building up and strengthening the Body of Christ. However, learning to feed one’s self through the personal reading of the Bible is an important part of growing as a disciple of Christ. Unfortunately, many Christians in Japan believe that they cannot understand the bible on their own. At Oasis Church, we want people to know that when we have the Bible, an open heart and the Holy Spirit living in us, then Jesus himself can be our teacher as we read Scripture on our own (Matthew 23:10). Does this mean we will we understand everything we read? No, probably not. However, in most passages of scripture there will be at least one thing that we can grab on to that will help us to grow as disciples of Jesus. Whether it is a command to obey, an example to follow, a truth to believe, a promise to claim or simply a word of encouragement to hold onto, there are so many ways that Jesus can speak to us through the reading of His Word. It is our desire that the family at Oasis Church would begin to experience this first hand. With this in mind, last January we issued a simple challenge to the church: we asked each person to make it their goal to read through the whole New Testament at least once in 2014. While this might seem like a simple goal, the challenge was more than just asking people to read their Bibles, we also wanted them to interact with what they read. To this end, we also gave everyone a journal, asking them to simply write down those verses that they find to be encouraging, challenging or helpful in their Christian walk. And then (and this is the important part) when we gather together on Sunday mornings, people bring their journals and we give them an opportunity to share with the group some of the things that Jesus has been teaching them through their reading of the Word. In this way, instead of just being passive listeners on Sunday morning, the people are able to talk about what they are learning. Not only is this good discipleship training for them, but it also allows us to fulfill the instructions of Paul to “Build up one another” (1 Thessalonians 5:11). So far, this seems to be going well. A number of people are reading their Bibles more frequently than before, and others are finding it easier and easier to share their findings in front of the group. In fact, some people who would rarely participate in our bible discussions in the past, are willingly sharing the things they are learning from their times of personal Bible reading. This is very exciting for us, and we are grateful to see the growth taking place in people’s lives. PLEASE PRAY for continued spiritual growth of each person at Oasis Church as we commit ourselves to reading the Bible on a regular (daily) basis. As the year goes on, may we not lose steam in pressing towards our goal to reading through the whole New Testament in 2014. PLEASE ALSO PRAY that we would put into practice the things we learn. As the late John Wimber once said “It is important to be Biblically literate, but we must also be Biblically obedient!" As a church family, may we become actual “doers” of the Word of God (James 1:22). In our last prayer letter, we mentioned that Chris’ parents were in the process of moving into an assisted living situation and that Chris might need to go home to help with the move. Well, soon after we sent out the letter, things started moving at an unbelievable pace. In mid-December, Chris returned to America for a one-month stay (Michael and Luke followed a few days later and stayed for two weeks). Chris then spent the next month helping her parents get settled, sorting through their unneeded belongings, preparing the old house to put on the market, and going through piles and piles of paperwork. However, by the time Chris returned to Japan in mid-January, she was able to accomplish everything that she needed to get done. PTL! We are thankful to God for how everything worked out so smoothly (except for one big hiccup on day 4!). Many people sent in money to help pay for the plane tickets home, and countless more were praying for us (and especially Chris) during this very stressful time. Thank you so much! We had a number of friends who helped out when we needed extra hands to clean and sort through stuff, and God even provided an apartment for us to stay in for FREE in the same community where Chris’ parent’s are at. Given the circumstances, things could not have worked out much better. 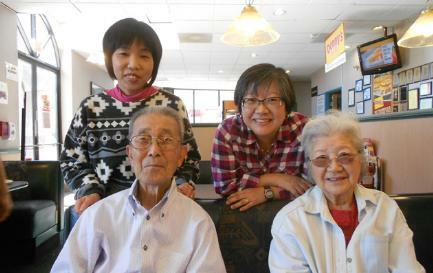 As for her parents, they are slowly adjusting to their new life at Atherton Baptist Homes. Although her father misses some of the independence, he is gradually seeing the blessing of being in an assisted living situation. In the case of Chris’ mom, the move came just in time as her Alzheimer’s is progressing to the point where she needs round-the-clock monitoring. All in all, we are extremely thankful that they were admitted to Atherton. The staff there is absolutely wonderful and it gives us much peace to know that they are being well taken care of. PLEASE PRAY for Chris’ parents as they continue to adjust to their new living situation. Pray especially for Chris’ father as he also adjusts to his wife’s deteriorating condition. PLEASE ALSO PRAY for spiritual fellowship, especially for Chris’ dad. 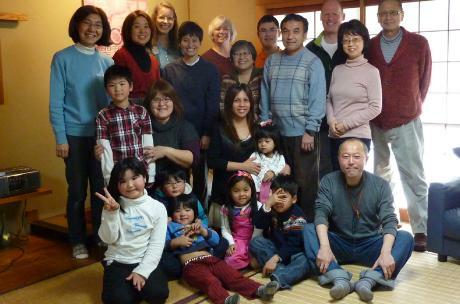 They are no longer able to attend church each week at Gardena Valley Baptist Church, so we are praying that they might meet some other Japanese-speaking Christians at Atherton. Before we close, we want to ask for special prayers for Chris as she continues to serve at Kansai Christian School. This school year has been quite challenging for Chris as there have been an unusual amount of discipline problems in her 5th-6th grade homeroom class (especially among the girls). PLEASE PRAY for wisdom, patience and love as Chris interacts with the students. May the Lord use Chris to not only addresses the discipline issues, but also to nurture, coach and guide these girls through these difficult pre-teen years. Thank you. Well, that is it for now. Thanks again for all of your prayers and support on our behalf.